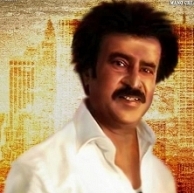 Superstar Rajinikanth - KS Ravikumar project Lingaa is proceeding at a brisk pace for its planned December 12 release. This A.R.Rahman musical has Sonakshi Sinha and Anushka Shetty playing the female leads. Meanwhile, stunt choreographer of the movie, Lee Whittaker tweeted, "Couple days left for Lingaa's huge action climax." He also tagged the tweets with tags - 'Never Been Done' and 'Go Big'. A new beginning for Jai! Vikram and Vijay on a mission ! Mysskin celebrating with the ghosts! I continues to create record! Ajith to go back to salt and pepper! People looking for online information on Ks ravikumar, Lee Whittaker, Lingaa, Superstar Rajinikanth will find this news story useful.